Artificial intelligence is ushering in a new era of customer experience management platforms that unite the online and offline experience, Accenture’s chief claims. The rapid shift in consumer expectations thanks to digital connectivity has driven a dramatic change in the way businesses integrate digital marketing strategies to drive engagement and revenue. As a result, the traditional Web content management system (WCPS) is being replaced by the new concept of an ‘experience platform,’ an all-encompassing platform that includes content personalisation, deep analytics, customer profiling and multivariate testing. 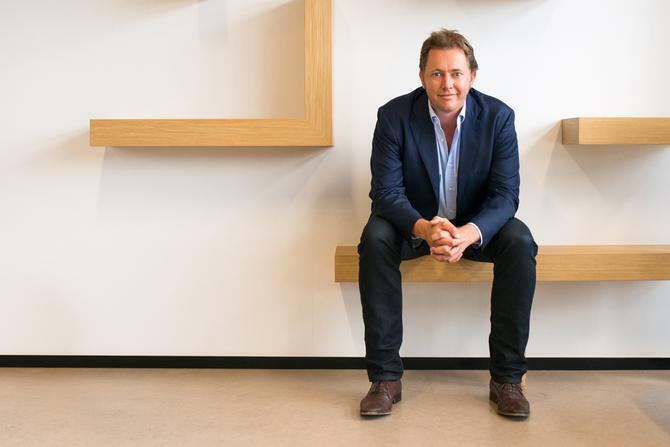 “The way we are behaving as consumers is completely changing, and has moved to what we call this ‘experience platform’,” Accenture Interactive A/NZ managing director, Michael Buckley said. Thanks to advancements in computer science, including deep neural networking, along with the lowering costs of cloud computing and mass storage, artificial intelligence (AI) is being utilised to provide further sophistication in how organisations connect with customers. Such enterprise experience platforms are set to “evolve” to the organisation’s data sets and business processes, increasing the return on investment by providing deeper insights into consumer behaviour, Buckley said. He pointed to music aggregator, Spotify, as already successfully leveraging data and content in this way to provide a whole new level of online and offline experience. “It’s about integrating an algorithm that allows your business to operate freely, like Spotify, which is completely run on an artificial intelligence algorithm,” he said. Earlier this year, Accenture Interactive, in collaboration with Fjord, Design and Innovation, identified nine digital developments shaping customer service and product design in the Trends 2015 outlook. The report found customers often experience gaps when using digitally-enabled products and services, most notably between online and offline experiences. Interestingly, the report identified Spotify offline as an example of a convenient way to shuttle between online and offline environments. In the face of building omni-channel experiences, Buckley advised CMOs to not lose sight of the end vision in favour of decisions based purely on revenue. Buckley said Accenture aims to encourage businesses to lead with the heart, then revenue follows. He claimed the best platforms in the world like Uber, Spotify and Netflix, are already going down that road by leading with experience. “They understand the important of leading with your heart first and then thinking of your end goal. And we know by looking at our case studies, that the revenue will follow,” he said. Buckley also believes the CMO-CIO partnership is vital to achieving holistic and scalable customer experiences. A report released by Accenture Interactive late last year showed marketers will have to spend more than 75 per cent of their budgets over the next five years on improving digital customer experiences to remain competitive. Alarmingly, the report revealed more than 79 per cent of them don’t believe their companies will be ready for this emphasis on digital services. Buckley said CMOs need to find more creative ways to work with the CIO to optimise the digital marketing infrastructure in order provide better content and improve the digital experience. “The CMO is becoming a lot more relevant to the board,” he said. “Not just because they are responsible for the customer experience and the customer is making decisions whether or not they like the brand, but because the CMO is responsible for influencing products and services and key decisions that the business is making from a technology standpoint. Another component in the mix is data utilisation. Buckley said a lot of people know how to measure through data, but not enough are actually using data to truly help their businesses, especially on a day-to-day basis. Companies leveraging data effectively are also integrating an AI component in the mix, Buckley said. Ebay, Net a Porter and ASOS are also leading the way in terms of leveraging the interplay of data, content and AI to optimise the digital experience for their customers, Buckley said.